The role of U.S. ambassadors is in the news again. You may have noticed we haven’t been filling all those vacancies around the world. The reasons for not doing so are not the focus of this article. Rather, I’d like to point out the advantages of appointing ambassadors (diplomats or appointees) to top positions worldwide. I will also shed light on popular misconceptions concerning these admirable leaders who serve abroad. Country ambassadors are sources of guidance to the President and the Secretary of State because they have their finger on the pulse of the country they are stationed in. U.S. Ambassadors to foreign countries also promote U.S. interests. They do studies that validate U.S. national reviews of current and proposed trade agreements. They put into place policies and procedures that protect Americans traveling to the host country. 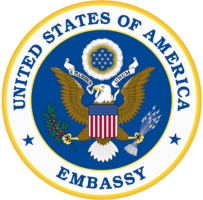 In fact, ambassadors and their teams provide input to eventual travelers’ advisories that can be obtained on the Department of State website. They serve as a focal point for all of the representatives of American agencies operating in the host country, except military personnel. They are often a source of prestige for the host country. There is major excitement around the appointment of an ambassador to most countries around the world. This can evolve into more solid relationships with the U.S. and accelerated trust-building. One of the most prevalent and popular misconceptions concerning U.S. ambassadors to foreign countries is that their job is one big social bash – huge parties almost every night of the week, galas and a long series of attending symphonies and art expositions. The reality is that while there are certainly cocktail parties and receptions to attend, the typical U.S. ambassador works a very long week under arduous conditions. There are many times that the ambassador and country team are presented with crises and murky information that they must quickly understand and respond to. The ambassador must always safeguard and promote the interests of the United States while dealing with these crises. Another misconception of ambassadorship is that they are only filled by the extremely wealthy — somewhat of a prize for having been either a “bundler” (person who coordinates and consolidates major campaign contributions) or some other political supporter of the incumbent president. While this does occur, many of the most important posts must achieve Senate confirmation and that is where (hopefully) a good dose of rationality and realism can enter into the process. Before 1924, all U.S. ambassadors were politically connected appointees. Then the Rogers Act (Foreign Service Act) passed, making a U.S. Foreign Service organization from two distinct streams of diplomatic and consular officers. This made for a more merit-based system with improved pay and regular rotations. After 1924, the number of Foreign Service careerists appointed to top diplomatic posts began to slowly rise. In the latter part of the twentieth century, career appointees constituted about 65 percent to 70 percent of all postings. Of course, all administrations are different in this regard, with a noticeable trend toward political appointees during the early period of many new administrations. The Current Debate: Can Anyone Serve as an Ambassador? Yet others cite many advantages of having a certain number of political appointees. They maintain that many of these people have earned their stripes in previous occupations before being appointed to governmental senior level positions. They bring much needed competencies from business, education, and other sectors. What seems to be agreed on by many on both sides of the discussion is that appointments made in accordance with the “spoils system” is perhaps not in the best national interest. Ambassadors are very important representatives of the United States and they are often a crucial link between the President and the host country. Countries look forward to having an ambassador from the United States — it’s a sign of national prestige. U.S. ambassadors have hard jobs and take considerable risks in the service of nation. The number, type and timing of Foreign Service diplomat appointments is particular to each presidential administration. Serving the United States abroad is a privilege of the highest order so considerable care and diligence should be taken to ensure that the best and brightest are nominated to these positions.